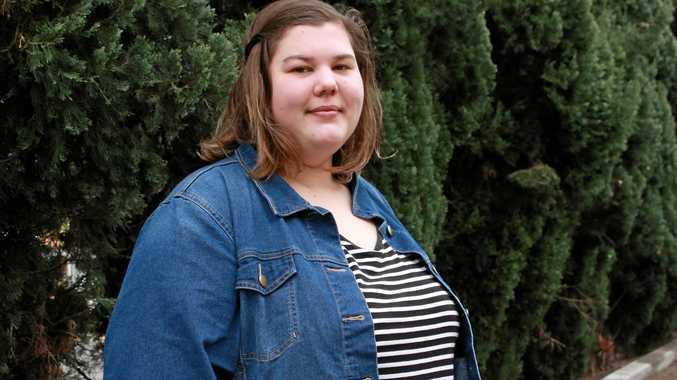 AT JUST 14 years of age, shaking off the shackles of stigma to open up about her depression was the hardest thing Caitlyn Meiklejohn has ever had to do. Scared of being told she was "faking it" for attention, Caitlyn almost stayed silent as the hidden illness pushed her further into isolation from her family and peers. Now Ms Caitlyn is laying her personal experience out on the table to help others in their most vulnerable years. Joining a group of young adults to form the headspace Youth Reference Group in Warwick, Caitlyn has direct input in how youth mental health services are delivered in Warwick. 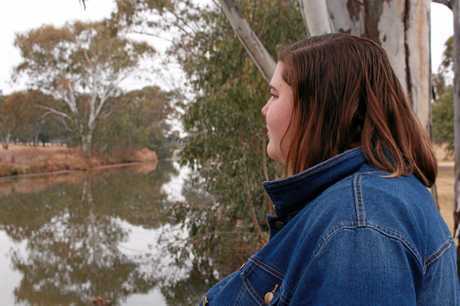 But the strength to open her heart didn't come easy for the Year 11 Warwick State High School student. Throughout childhood, Caitlyn struggled with bullying but when she turned 14 things started to become unbearable. "Grade 9 was probably the worst for me when my anxiety and depression really hit hard," she said. "I just didn't have motivation to do anything. I didn't want to go to school and I started telling myself that I was a bad person and I wasn't good enough for the friends I had and some of my friendships really broke down in that year." Losing her support network of peers, Caitlyn continued to "drift away". She said finding the courage to speak up about how she was suffering was one of the "hardest things" she has ever had to do. "Honestly it is very hard to ask for help - it is one of the hardest things I have ever had to do." Shame, confusion and fear people wouldn't believe her kept Caitlyn silent while her depression continued to worsen. "I didn't want people to think I was saying I had depression so I could get attention," she said. The nature of her illness meant Caitlyn didn't have one particular thing that was making her feel bad. "When somebody is feeling down, someone's first instinct is to ask what is wrong, but I could honestly not answer that question," she said. "I was so sad but there was no reason why." While her parents could see she was struggling, they didn't know the extent until she finally did one of the bravest things she would ever do. "One day I built up the guts to say to myself, this is not right and I don't want this to get worse until I do something silly." 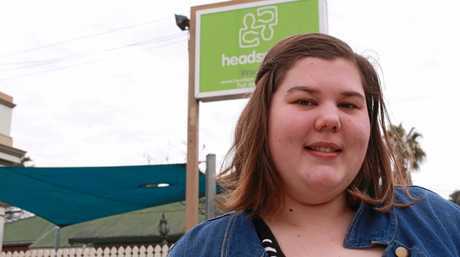 After telling her parents, Caitlyn was diagnosed with depression and started attending counselling at headspace. She said the youth mental health service provided a place of belonging when her illness isolated her. "The counselling is such a personal thing but it is also a community organisation that holds events in the community so I felt like I was part of something," she said. Now Caitlyn is giving back by lending her voice to the cause. "I think I would like them make it easier for people with mental illnesses to come forward and say they are feeling bad and reduce the amount of stigma around mental health," she said. Warwick headspace community awareness and engagement officer Simon Goddard said the reference group would provide advice to headspace and advocate against stigma. 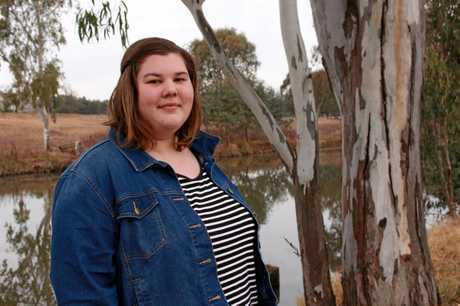 "It's important to have people like Caitlyn who are prepared to tell their story and get the message out there that you can get through mental illness and there are people there who can help you and work with you," Mr Goddard said. He said he was at a careers expo day at the Warwick State High School on Tuesday and was heartened by the response he had from students. "All the young people who came up to me were really open about it. I have to say I was surprised," Mr Goddard said. "A lot of them knew about headspace and were happy to talk about it without any sort of embarrassment or discomfort at all." The Youth Reference Group will have its first meeting in the next two weeks but is actively inviting other young people to join. If you are interested in being involved contact headspace Warwick on 46611999 or email simon.goddard @rhealth.com.au for more information. If you or someone you love is struggling with addiction issues and needs support right now, please call Lifeline on 131114 or beyondblue on 1300224636. If it is an emergency please call 000.